“Innovation is a must,” this was the statement of Ambassador Andrea Reichlin during the Health Tech Challenge last October 4, 2017, at the Asian Institute of Management in Makati City. Amb. 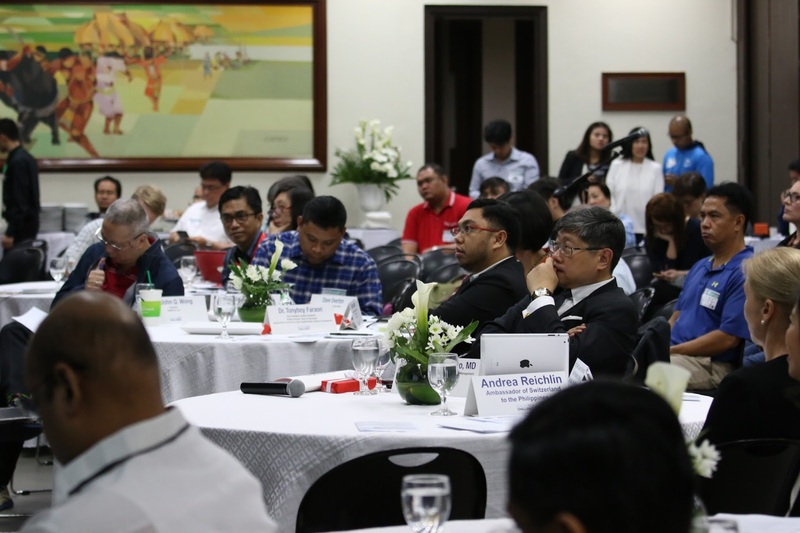 Reichlin emphasized that the Health Sector is an important component of every society and that the Philippines will benefit from the collaboration of both public and private sectors and this will result in a step further in meeting the healthcare needs of every Filipino. The HealthTech Challenge is a search for tech-based startups for creating and developing solutions that cover any stage of the healthcare process be it in awareness, diagnosis, treatment, tracking, and monitoring of health-related concerns. HealthTech Challenge was a collaboration between the Embassy of Switzerland, the Asian Institute of Management (AIM) and TechTalks.ph in commemoration of the 60th anniversary of diplomatic relations between the Philippines and Switzerland. Amb. 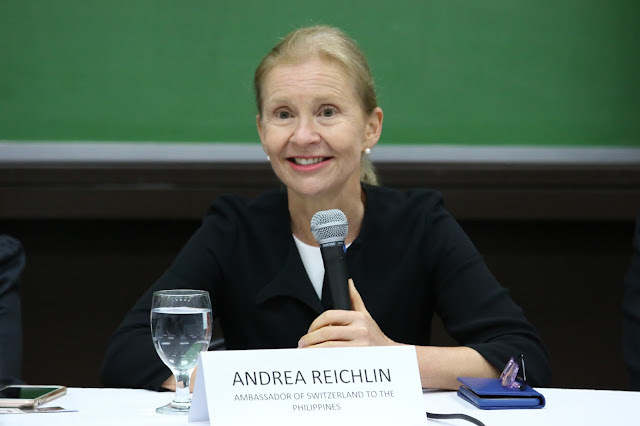 Reichlin cited the cooperation between both countries with the partnership in various health-related endeavors, particularly with its partnership in the Regional Institute of Tropical Medicine (RITM). 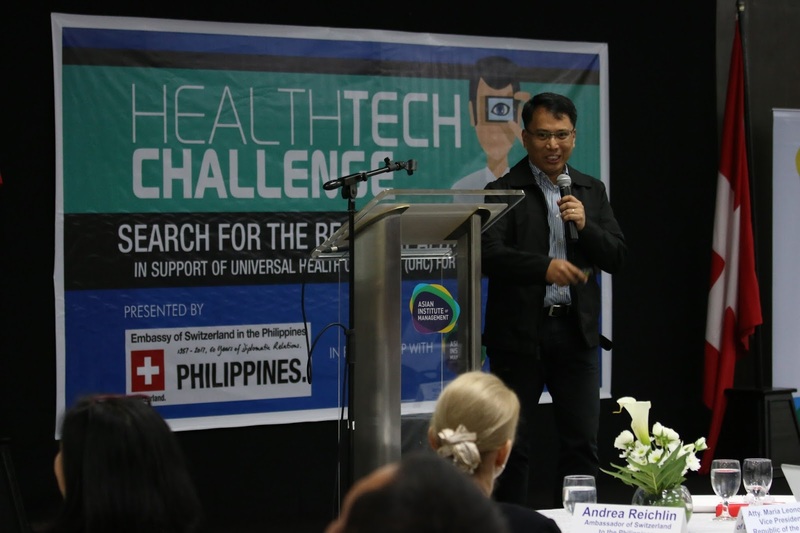 The HealthTech Challenge aimed to serve as a venue wherein the Philippine Startup Sector will work on solutions that will help in Universal Health Coverage of the Filipinos. It is acknowledged that Switzerland is a country known for having one of the world’s best healthcare systems and that Universal Health Coverage (UHC) is a lynchpin of its public healthcare policy. The competition was initially participated in by 31 startups and it was winnowed down to 8 finalists. 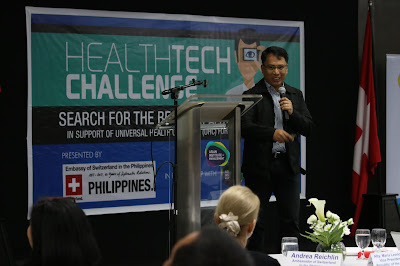 Health Tech-based solutions presented ranged from apps, software, and websites that sought to enable the provision of healthcare to include the most vulnerable segments of the Philippine population. Acknowledging that Philippine efforts towards Universal Health Coverage yet has a long way to go, innovative tech-based solutions can help bridge the existing gaps and perhaps accelerate the realization of UHC. The Decision Labs won first place in the competition with its CEMPIA Analytics products and Patient Experience that can be used in hospitals. Amb. Reichlin stated that the HealthTech Challenge will be evaluated so as to determine if it will be an annual activity. Vice President Leni Robredo was the Keynote Speaker at the event.